Apple recently released their eight beta of iOS 12 and now we have a video testing iOS 12 Beta 8 vs iPhone 12 Beta 1. Apple is expected to release iOS 12 some time next month along with their new iPhone X handsets, this means that the eight beta of the software is probably pretty close to the final version. In the video below we get to see the new beta tested against the first beta of iOS 12 that Apple release, this was released at WWDC back in June. 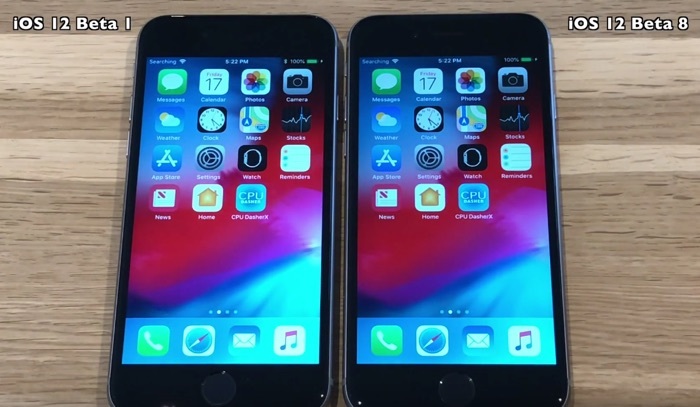 As we can see from the video the handset running the latest beta of iOS 12 booted up faster, the latest beta also appears to be faster in some of the apps. We are expecting iOS 12 some time next month, as soon as we get some details on the release date, we will let you guys know.